There are two main types of waffle makers that you’ll see when you’re shopping. Belgian waffle makers produce thicker waffles, so the wells will be deeper to accommodate more batter. American waffles, on the other hand, are thinner and crispier, so the waffle maker will obviously have shallower pockets for batter. Deciding which kind of waffle you prefer will narrow down the selection of waffle irons. Most of the “best” waffle makers on our list and others are of the Belgian variety. However, there are some good options if you prefer American or traditional waffles. Let’s take a look at some of the best waffle irons out there. The first thing you should know about this one is that it is a bit more expensive than some of the other waffle irons out there. However, if you are looking for a really solid waffle iron, or if you cook for a big family, or if you’re just ready to toss your cheaper waffle maker and upgrade to one that cooks beautifully and lasts, this is the one for you. The Cuisinart Double Belgian Waffle Maker is one of the flip models. After putting batter in the iron, you flip it over to reveal another side to fill up. Not only does this let you cook more at once, but the flipping facilitates better coverage of the batter in the pockets. This model heats and cooks quickly, and it features an adjustable 6-setting browning control knob so you can get the waffles to exactly the doneness you want. The FlipSide Belgian Waffle Maker features ceramic nonstick interior, allowing it to heat quickly and cook evenly. It’s a bit smaller than some other flip waffle irons, which can be an important factor for those with limited storage space. 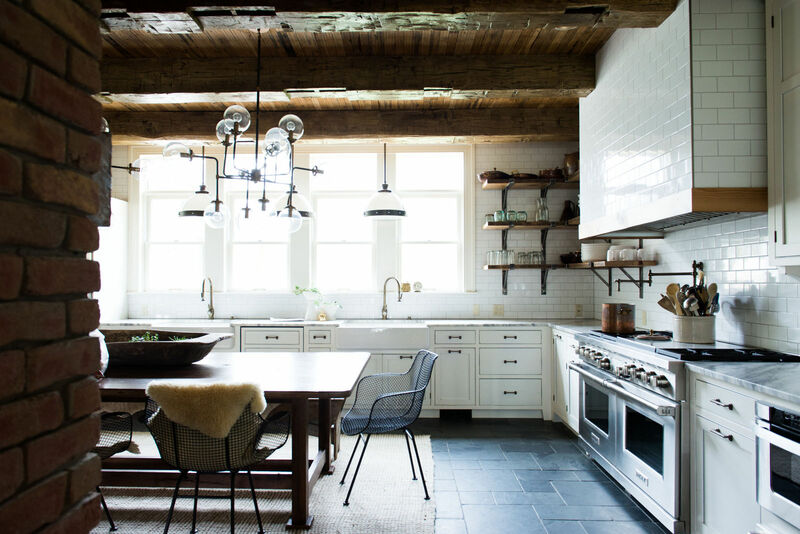 It also features notifications for both preheating and cooking – lights and sounds indicate when the iron is ready to cook and when the waffles are done. It’s a little more finicky than the Cuisinart in that you have to flip it halfway through cooking to have the best results. It also tends to get pretty hot to the touch, which can be a problem if you’re cooking with kids or if you accidentally grab it. 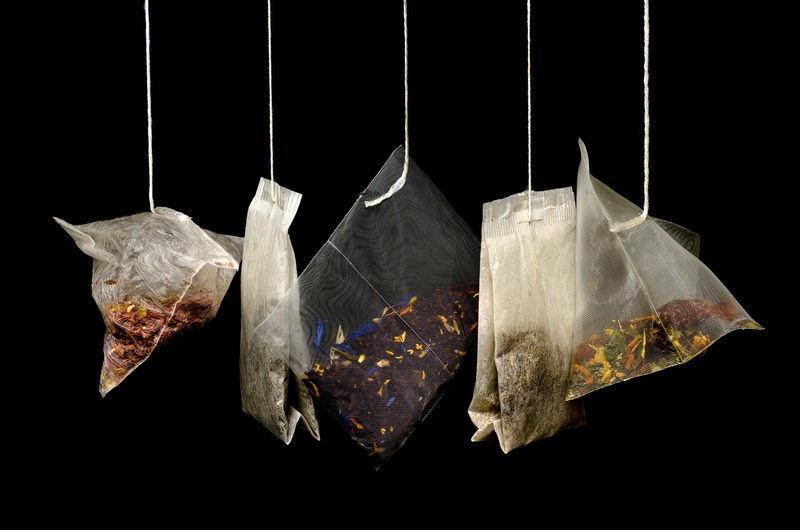 Because of the way it flips, you need a bit more counter space when in use. Even so, this is a solid waffle iron with a very budget-friendly price. 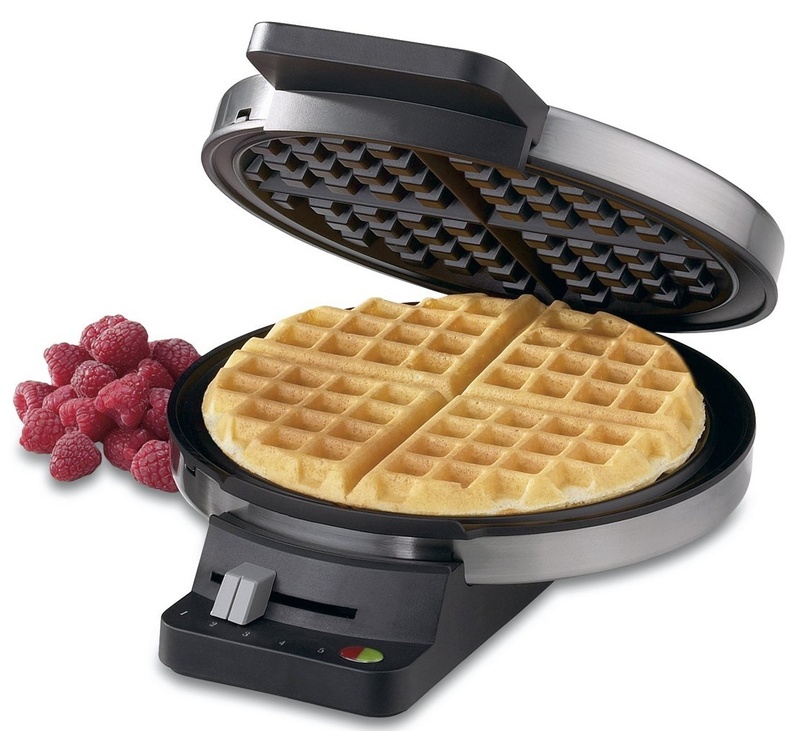 This four-slice waffle maker produces Belgian waffles at five different browning levels. Indicator lights and beeps help you know when they are ready, and a cord wrap at the bottom helps make storage easier. One huge advantage to this model is the plates are removable and safe for the dishwasher. 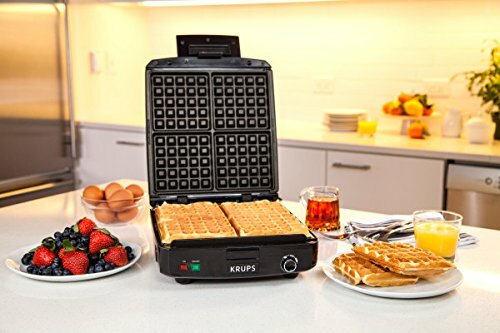 The Krups has deep wells and produces excellent waffles with light insides and crispy outsides. 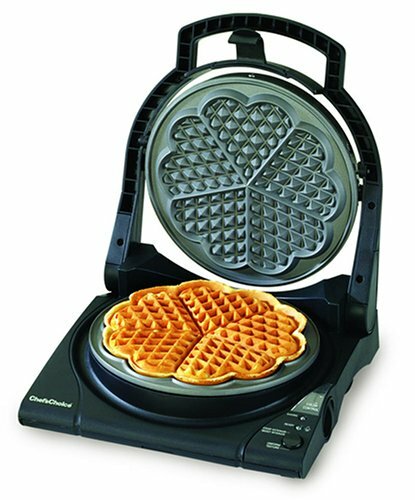 Though some prefer the rotating style and/or round waffle makers, this one is a great option for those who want a square waffle, or those who need to use vertical storage. Currently priced well under $50, this iron can be found at various price points but often goes on sale. 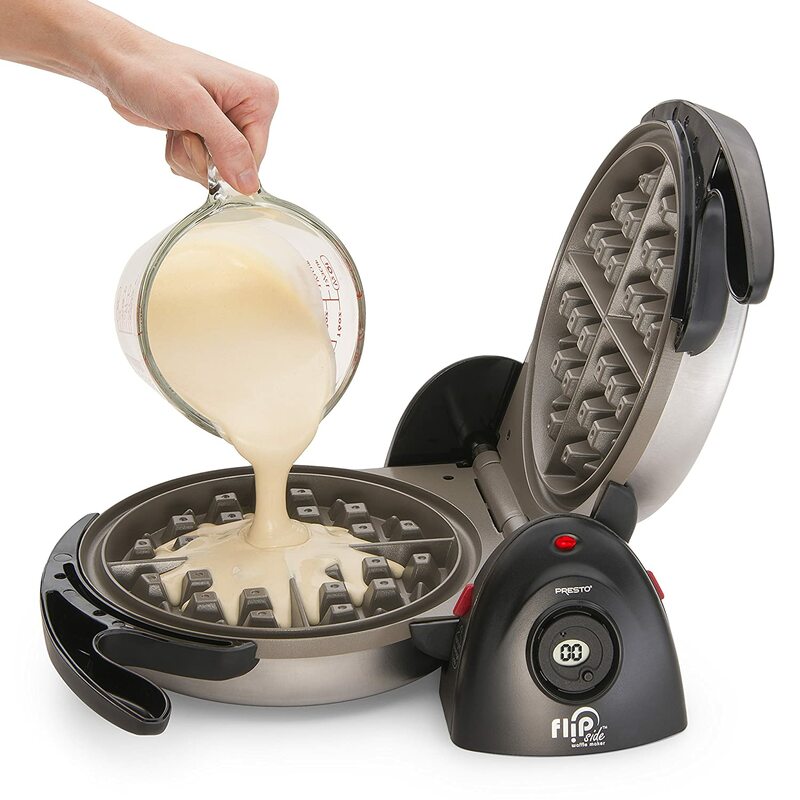 Traditional, American, Eggo-style – whatever you want to call it, this waffle maker creates those crispy and thin waffles. It’s compact enough for simple storage, but that also means you won’t get a lot of waffles in a short amount of time. It does cook quickly, however, so you won’t be waiting long for hot and crunchy waffles. Wanting thin waffles doesn’t mean settling for soggy or unevenly cooked waffles, so the Cuisinart is one of the rare “classic” models that actually gives you good quality waffles. It’s far from flawless (the browning adjuster can be finicky, for example), but it’s super inexpensive and offers many benefits. Sometimes the simple joy of a heart-shaped waffle can brighten your whole morning. If you’re in the market for a more whimsical waffle maker that produces the thinner, American style waffles, this Chef’s Choice is a great option. It’s nonstick and bakes five heart-shaped waffles at once. It is important to note that the waffles from this iron are very thin. 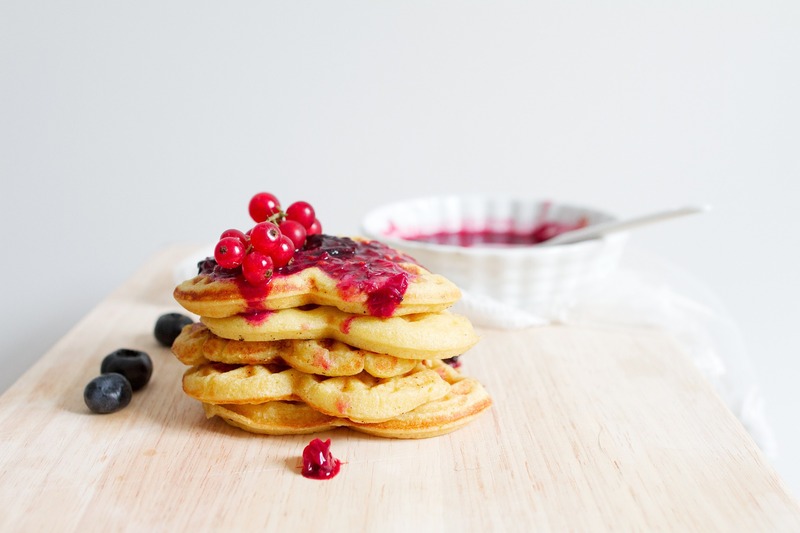 Buyers expecting to get something like an Eggo or something even thicker will be disappointed – it has very shallow wells and produces thin waffles that aren’t always crispy. However, you can get great results for Scandinavian-style waffles with this model, so it’s a great option for those looking for that sort of iron.